Argentina, Chile, Mexico, and Sweden expressed interest in hosting the tournament. Swedish delegates lobbied other countries at the FIFA Congress held in Rio de Janeiro around the opening of the 1950 World Cup Finals. Sweden was awarded the 1958 tournament unopposed on 23 June 1950. The hosts and the defending champions, West Germany qualified automatically. Of the remaining 14 places, nine were allocated to Europe, three to South America, one to North/Central America, and one to Asia/Africa. The format of the competition changed from 1954: 16 teams still competed in four groups of four, but this time each team played each of the other teams in its group at least once, without extra time in the event of a draw. Two points were awarded for a win and one point for a draw. If the first two teams finished on equal points then goal average would decide who was placed first and second. As in 1954, if the second and third placed teams finished on the same points, then there would be a play-off with the winner going through. If a play-off resulted in a draw, goal average from the group games would be used to determine who went through to the next round. If the goal averages were equal then lots would have been drawn. These arrangements had not been finalized by the time the tournament started and were still being debated as it progressed. Some teams complained that a play-off match, meaning three games in five days, was too much, and before the second round of group matches FIFA informed the teams that goal average would be used before resorting to a play-off. This was overturned when the Swedish Football Association complained, ostensibly that it was wrong to change the rules mid-tournament, but also because it wanted the extra revenue from playoff matches. This was the first time that goal average was available to separate teams in a World Cup. It was used to separate the teams finishing first and second in one of the groups. However, all three playoffs finished with decisive results and so it was not needed to separate the teams involved in a tied playoff. Almost all the matches kicked off simultaneously in each of the three rounds of the group phase, as did the quarter-finals and semi-finals. The exceptions were Sweden’s three group matches, all of which were televised by Syeriges Radio; these started at other times so Swedes could attend other matches without missing their own team’s. 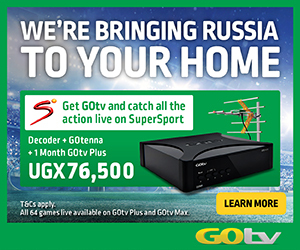 Apart from these, one match per round was televised, and relayed across Europe by the European Broadcasting Union (EBU). Many Swedes bought their first television for the World Cup. In Group 4, Pele did not play until the last of Brazil’s group games, against the Soviet Union. He failed to score, but Brazil won the game 2–0 (much thanks to an impressive exhibition of dribbling prowess by his partner Garrincha and the group by two points. Previously, they had drawn 0–0 with England in what was the first ever goalless game in World Cup history. Eventually, the Soviet Union and England went to a playoff game, in which Anatoli IIvin scored in the 67th minute to knock England out, while Austria had already been eliminated. The English side had been weakened by the Munich air disaster, earlier in the year, which killed three internationals on the books of Manchester United, including England’s young star Duncun Edwards. Playoffs were also needed in Group 1 (Northern Ireland beat Czechoslovakia to join the defending champions West Germany in the quarter-finals) and Group 3 (Wales topped Hungary to advance with hosts Sweden). Hungary had become a spent force after their appearance in the final of the previous tournament. They had lost their best players two years before, when they fled in the wake of the failed uprising against the communist regime. In a rather restrictive sense, from the 1954 team, only goalkeeper Gyula Grocics, defender Jozsef Bozsik and forward Nandor Hidegkuti remained. In Group 2, Scotland faced Yugoslavia, Paraguay, and France. France topped the group, with Just Fontaine netting six goals. Yugoslavia finished second, while Scotland came in last. The quarter-finals saw France’s Just Fontaine continue in similar form as in the group stage, managing another two goals as France triumphed over Northern Ireland. West Germany’s Helmut Rahn put them into the semi-finals with a single goal against Yugoslavia, while Sweden went through at the expense of USSR. The other game in the quarter-finals saw Pelé score the only goal against Wales. In the semi-finals, Sweden continued their strong run as they defeated West Germany 3–1 in a vicious game that saw the German player Erich juskowiak sent off (the first ever German player to be sent off in an international game) and German veteran forward Fritz Walter injured, which further weakened the German team (substitutes were first allowed in the 1970 FIFA World Cup). In the other semi-final, Brazil and France were tied 1-1 for much of the first half. However, 36 minutes into the game French captain and most experienced defender Robert Jonquet suffered broken leg in a clash with Vavá, and France was down to ten men for the rest of the game (substitutions were not allowed back then). 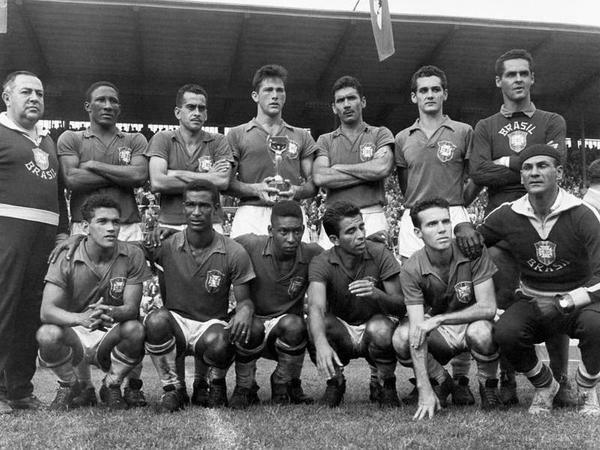 Brazil dominated the rest of the match, as a Pelé hat-trick gave them a 5–2 victory. Fontaine of France added one goal to his impressive tally. The third place match saw Fontaine score four more goals as France defeated West Germany 6–3. This brought his total to 13 goals in one competition, a record that still stands. The final was played inSolna, in the Rasunda Stadium; 50,000 people watched as the Brazilians went a goal down after four minutes. However Vava equalized shortly afterwards and then put them a goal ahead before half time. In the second half Pelé outshone everyone, notching up two goals, including the first one where he lobbed the ball over Bengt Gustavsson then followed it with a precise volley shot. Zagallo added a goal in between, and Sweden managed a consolation goal. The Final saw many records made in World Cup history that still stand as of 2014. At age 17, Pelé simultaneously became the youngest player to participate in, score, and win a World Cup Final. Conversely, Nils Leidholm became the oldest player to score in a World Cup Final at 35 years, 263 Days. This final had the highest number of goals scored by a winning team (5), the highest number of total goals scored (7), and together with the 1970 and 1998 finals shares the highest goal margin of difference (3); Brazil played in all those three finals. The game is also notable for many firsts in FIFA World Cup. With the exception of the 1950 FIFA World Cup final group stage, this marked the first time that a World Cup host reached the final without winning it. Additionally, the match marked the first time two nations from different continents (Europe and South America) met in a World Cup final. It also marks the first and only World Cup hosted in Europe not won by a European team; a feat mirrored in 2014 where a World Cup hosted in the America was not won by a team from the Americas for the first time, with Germany beating Argentina 1-0 at the final. 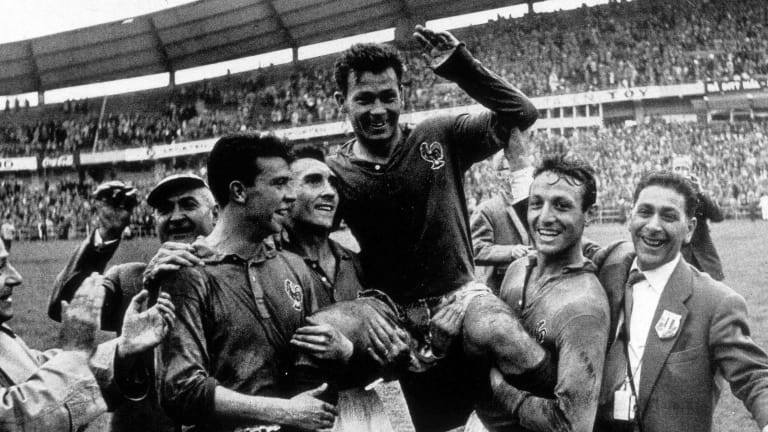 France’s Just Fontaine was the top scorer of the tournament.